However, my plan was intercepted by an older gentleman named George, who thought it important we actually learn about the wine before we began drinking (er, “tasting”) it. George gave us an in-depth, educational tour of his vineyard, barrel room and production facility. His wrinkled hands pointed to different grapes and soils while he used words I’d never heard to explain growing methods and concepts that were completely foreign. The apathy I had anticipated gave way to intrigue and interest as my eyes were opened to all the numerous nuances of winemaking and wine tasting. During the guided tasting that followed he explained how your palette works when drinking wine, and taught me how to properly taste (and understand exactly what I was tasting). By the end of the tour, I was reeling like a child who had just learned to read — excited about my induction into the world of wine and eager to learn more. Suddenly, wine tasting became less of a method for getting buzzed and more of an experience. 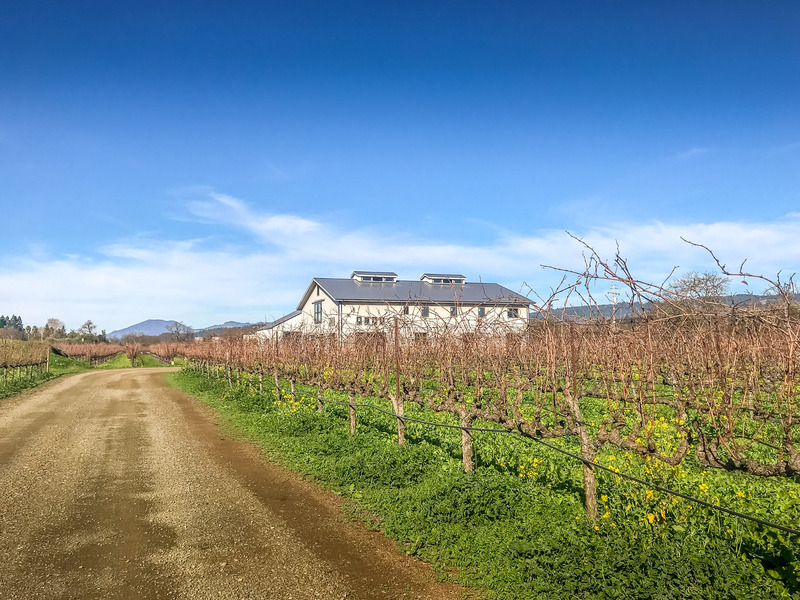 That day at Hendry Winery sparked my love affair with wine, and Mr George Hendry planted a seed that — with a lot of buttery chardonnay — would mature into a flow-blown wine snob. 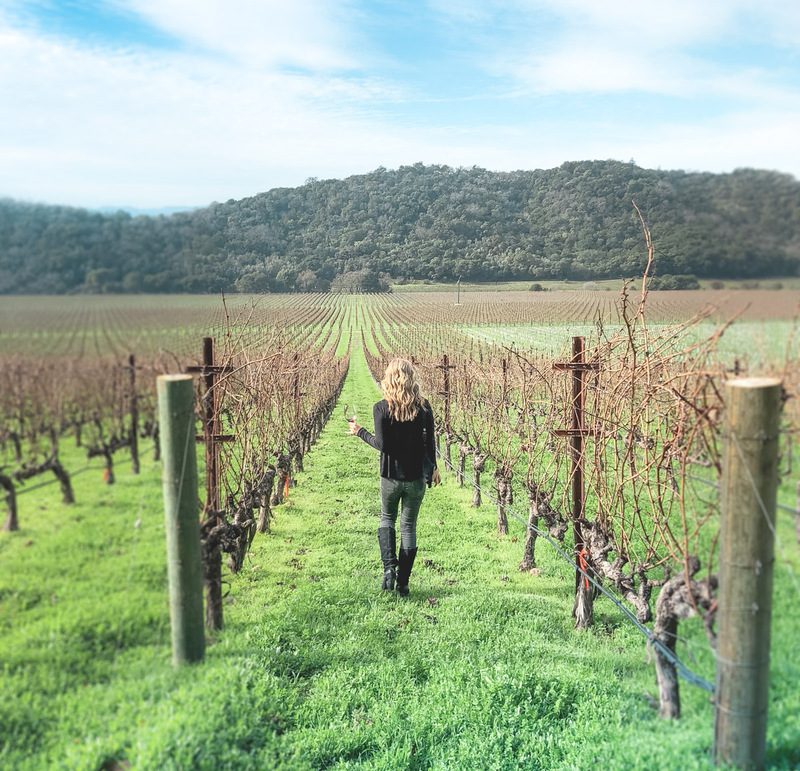 Eight years later, I returned to Napa Valley for my 29th birthday — older, slightly wiser (at least as far as wine tasting goes), and with the same wide-eyed enthusiasm as the first time. Coincidentally, my goal this time was the same as it had been eight years prior: to drink as much wine as possible. However, this time, the motives were driven by a desire to discover, taste and curate exceptional wines (rather than to “get wine drunk” as was the goal of my 21-year-old self all those years earlier). 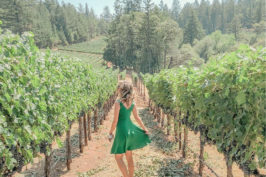 Like a 21-year-old cleverly disguised as an adult (or at least, a 29-year-old), I spent hours researching and planning my weekend in wine country, optimizing my time so as to maximize my experiences. Basically I came up with the perfect Wine Country weekend itinerary (if I do say so myself) and highly highly encourage you to steal it. Fleury was the first winery I visited upon arrival in Napa Valley, and it ended up being one of my absolute favorites. Fleury’s off-the-beaten-path location and unassuming exterior give little hint to the goodness that awaits within. 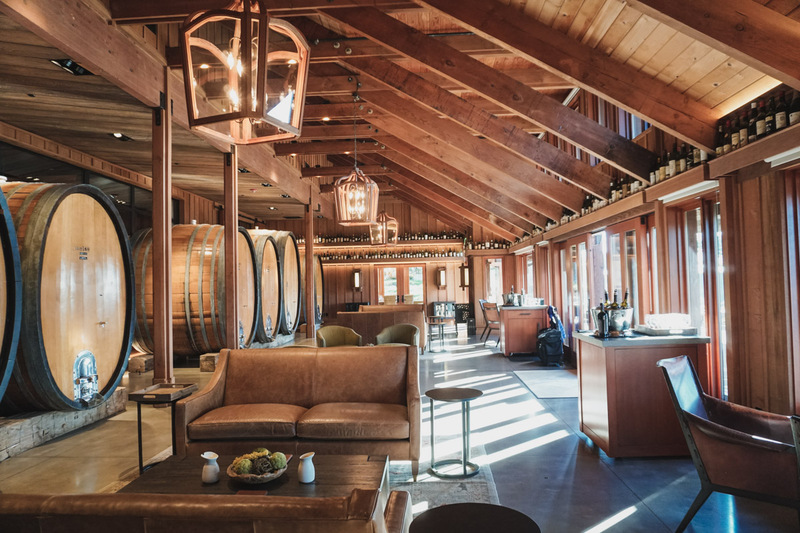 However, visitors willing to venture off the beaten path and enter the modest warehouse are rewarded with a warm welcome, intimate tasting experience and lots of really, really good wine. 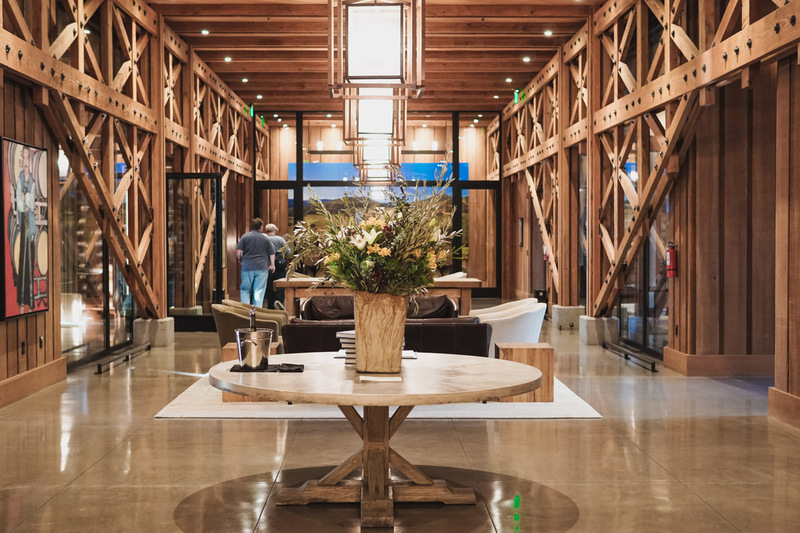 The warehouse in which tastings are conducted evokes a combination of barrel cellar and glamping resort, augmented by beautiful art and rustic decor. From the moment I set foot inside, I was in love (and not just because the welcoming committee consisted of a small yorkie who led us into the warehouse). The setting is private and intimate and the wine absolutely superb — I literally wanted to take a home a bottle of everything I tasted… and I’m picky! By the end of the tasting I was convinced that I’d found the best hidden gym in Napa, and I couldn’t wait to prove my trendsetterness by blogging about it ASAP and sharing how cool it is with the Internet. However, at the end of the tasting, our host pointed out a large wine bottle signed by all the celebrities who have visited the winery, debunking my “best kept secret” theory (evidently my best discovery of the trip was already well-known among hollywood A-listers). Regardless, it was an amazing tasting experience and the friendly staff treat each guest like a celebrity. They will even let you taste some wine from the barrel (if you’re nice). I don’t normally re-visit wineries/vineyards, as I always opt for new experiences over re-visiting places I’ve already been. However, Fleury is the exception to that rule. The next time I’m in Napa Valley I will definitely be back. Appointment only. Tasting cost is $35 for six wines (plus any additional barrel samples). The Terrace Tasting at Joseph Phelps Vineyards is an absolute must when visiting Napa Valley. The views are spectacular and the wine divine. If you’re looking for a perfect combination of atmosphere, Insta-worthy scenery and great wine, look no further. The wonderful tasting experience begins with a walk through the new hospitality center (built in 2015) past the impressive commercial kitchen and private tasting rooms, to the stunning Terrace on which guests cozy up on comfy couches and chairs while taking in 180 degree views of the vineyards and surrounding mountains. Upon arrival at your terrace table, a knowledgeable host guides you through a tasting of 4-7 wines, pouring each taste individually then providing some information on each wine before leaving you to enjoy the vino and views. For such a large, well-known vineyard I was impressed with how personal/private the tasting experience was. Prior to my visit, I admittedly anticipated a level of pretension based on their wines’ (especially Insignia) numerous accolades and the exclusivity of certain tastings (I’ve heard the Terrace Tasting must be booked weeks in advance). However, upon entering the family owned and run winery, my initial notions were immediately dispelled by the great hospitality and welcoming staff. Overall, this tasting was a quintessential Napa Valley experience and one I cannot recommend highly enough. Appointment Only. The Terrace Tasting costs $75 per person. Not to be confused with “Stag’s Leap” (another winery with the same name located on the same road) or “Stags Leap” (the AVA in which both wineries are located), STAGS’ LEAP (differentiated by the placement of the apostrophe) is a historic wine estate located off the Silverado Trail at the end of a walnut tree-lined drive. Surrounded by green vineyards, valleys and hills this hidden gem is as rich in history as it is in fine wine. Built in 1892, the historic stone mansion (Manor House) provides a beautiful backdrop to a wonderful tasting experience. Our tour guide, Bonnie, did an excellent job incorporating the history of the estate into the stories behind the wine and the houses/rooms in which we tasted. 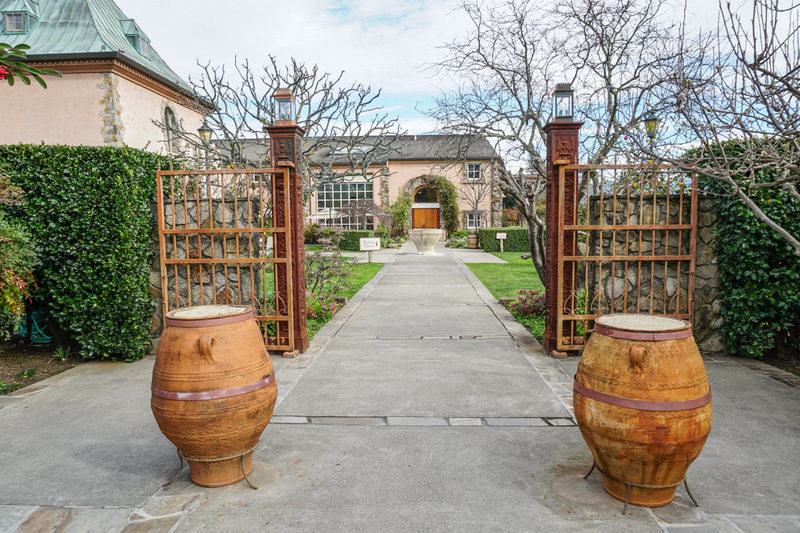 She walked us out to the gardens and vineyards while verbally painting the picture of this estate’s colorful and heritage. Tours are by appointment only and groups are kept small to provide an exclusive and intimate tasting experience. Appointment only. Tours are $65 per person. Bottle price: $35 – $200. When it comes to wine tasting, Del Dotto Estate Winery & Caves is what separates the amateurs from the pros. The cave experience and barrel tasting tour begins with a tour of the stunning wine caves and 6-8 tastings from the barrels therein. After you leave the caves the wine continues flowing at a guided bar tasting in which the host pours an additional 4-6 wines and, thankfully, provides cheese, pizza and chocolate for you to snack on while you sip. In short, this tour includes A LOT of wine so it’s a good idea to approach it strategically (e.g. sip and pour, plus take advantage of the water and breadstick crackers that are tactically placed throughout the caves). Pro tip: Pace yourself. 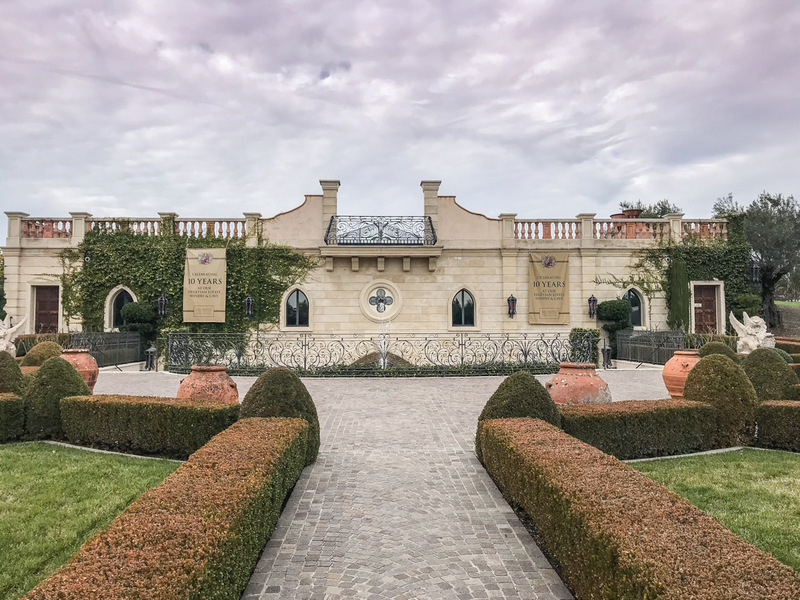 One thing to note: Del Dotto has multiple winery/vineyard locations each offering very different tasting experiences: Historic Del Dotto Winery & Caves, Piazza Del Dotto Winery, and Del Dotto Estate Winery & Caves. I did the Del Dotto Estate Winery & Caves tour located in St. Helena and it was one of my favorite tours from the weekend. Appointment only. Cave Experience & Barrel Tasting ($60 Mon-Thur & $75 Fri – Sun). A short drive from Del Dotto, Peju was the only winery we visited that didn’t require an appointment. Though the presentation style tasting and quaint atmosphere isn’t as scenic as other wineries, the wine was exceptional and reasonably priced. Peju, unlike its commercialized counterparts, offers an intimate tasting experience that’s anything but pretentious. The staff are very welcoming and knowledgeable and the grounds are absolutely beautiful (evidently Tony Peju was a florist before getting into wine, so the hallmarks of his former profession are evident throughout the pristinely manicured grounds). I also like the fact that the winery is family-owned and committed to organic wine growing practices. Peju’s convenient location off the main highway makes it a great stop in between tasting appointments. Plus it’s dog and kid friendly. No appointment necessary. Tasting cost (classic tasting) $35. 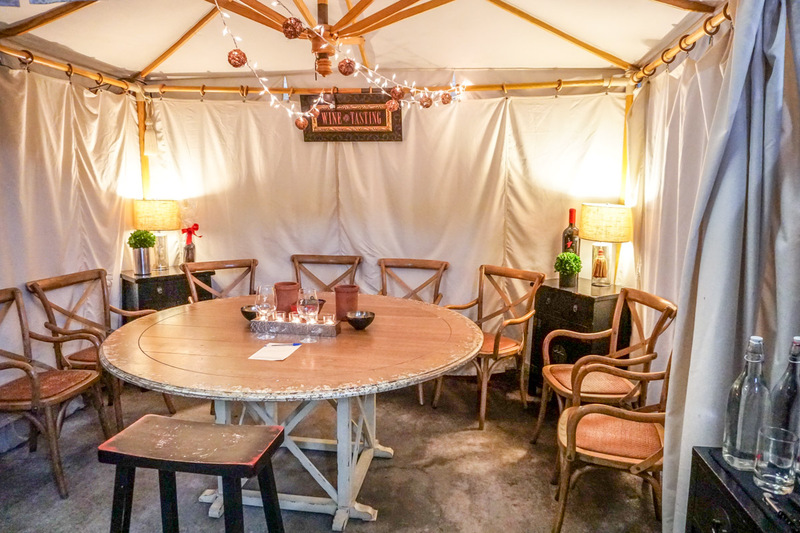 Another very boutique, off the beaten path winery, Allora provides guests an intimate and excellent wine tasting experience that’s unlike any other. Our private tasting was conducted by the vineyard’s owner/manager, Terry Klein, and I enjoyed listening to him tell the stories behind the wine, vineyard and especially the labels (their Lusso wine label was created by the artist Margaret Keane, whose career was recently featured in the movie Big Eyes). The personal experience of sitting down with Allora’s owner is definitely among the highlights of a visit here. 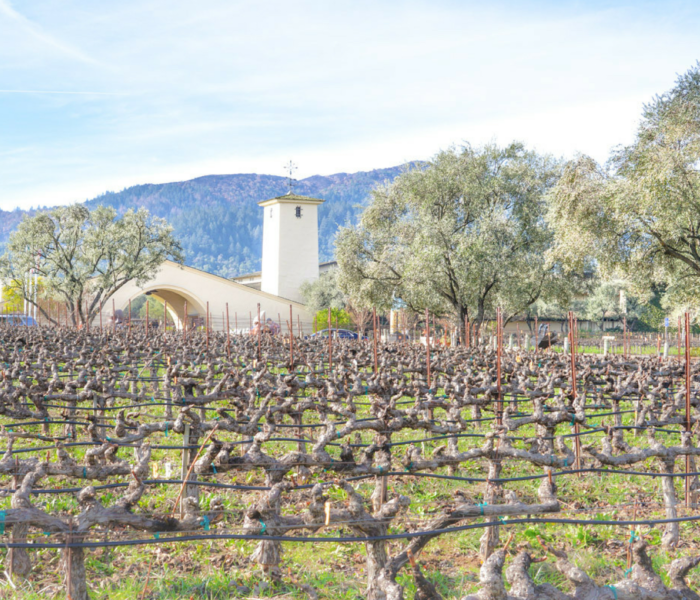 Allora has been family owned and operated for two generations and their modest 15 acres of vineyards produce 1,400 cases a year, which makes their wine fairly exclusive. Tastings are by appointment only, however your advanced planning is rewarded with excellent wine and spectacular service. This was another great recommendation by our driver, Dennis (Napa Driving Services). Appointment only. $40 per tasting. Spending a day on the Napa Valley Wine Train was definitely a highlight of my visit. 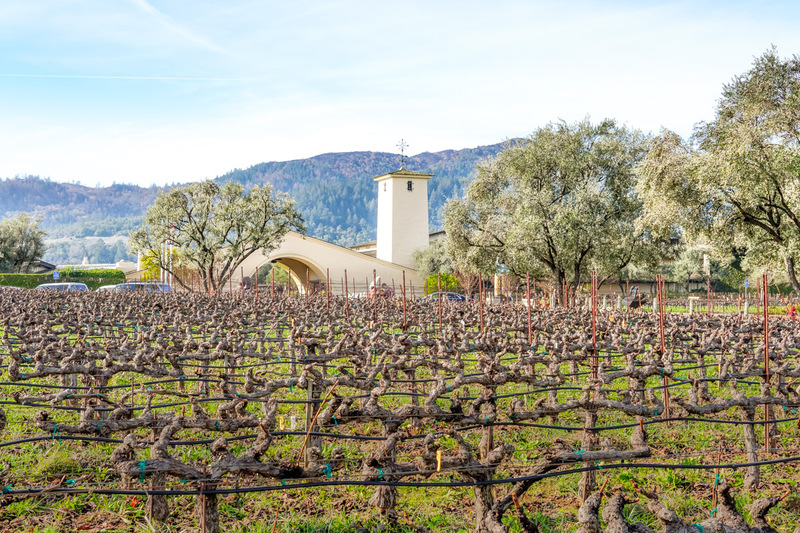 It’s kind of like the polar express…but for adults….and instead of ending at the North Pole it takes you to some of the valley’s most renowned vineyards. 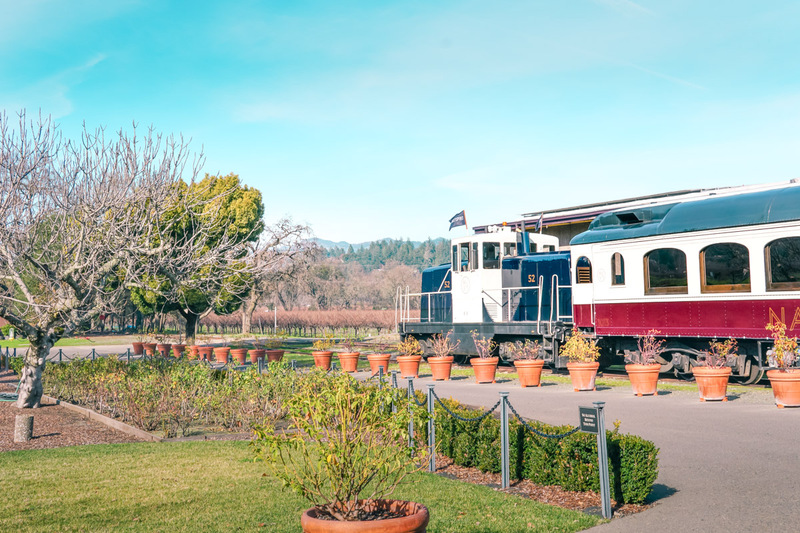 Chugging leisurely past lines of vines, the wine train is arguably the easiest and most enjoyable way to spend a day in Napa Valley. With minimal planning or effort you get a day of fine wine, great food, educational tours, beautiful views and an experience in which everything is taken care of for you — you just need to show up and enjoy. Veni. Vidi. Vino! The beautifully restored antique train transports you back in time (metaphorically), while (physically) transporting you to and from some of the most popular vineyards in the valley. I did a Quattro Vino Tour (the Legacy Tour) and was absolutely blown away by the experience. The six-hour rail tour of Napa Valley included a 4-course meal, and tours/tastings at three different wineries. 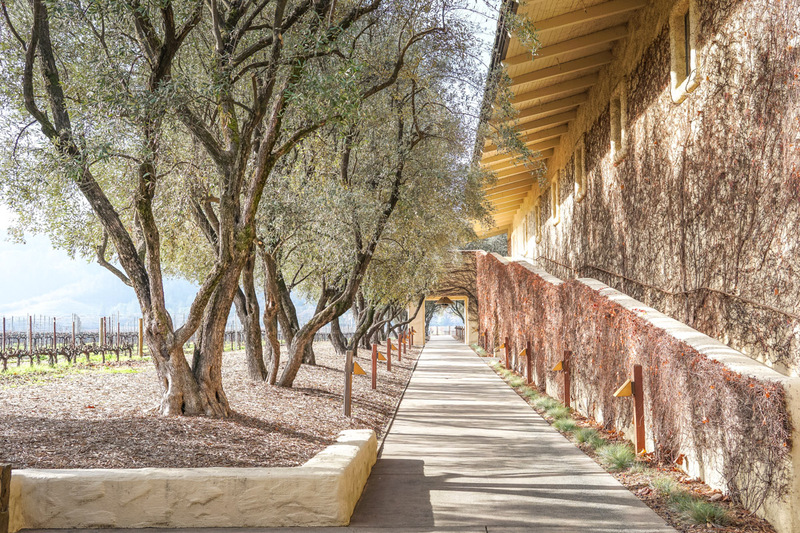 The wineries included in the Legacy Tour are: Robert Mondavi, Charles Krug, and V. Sattui. 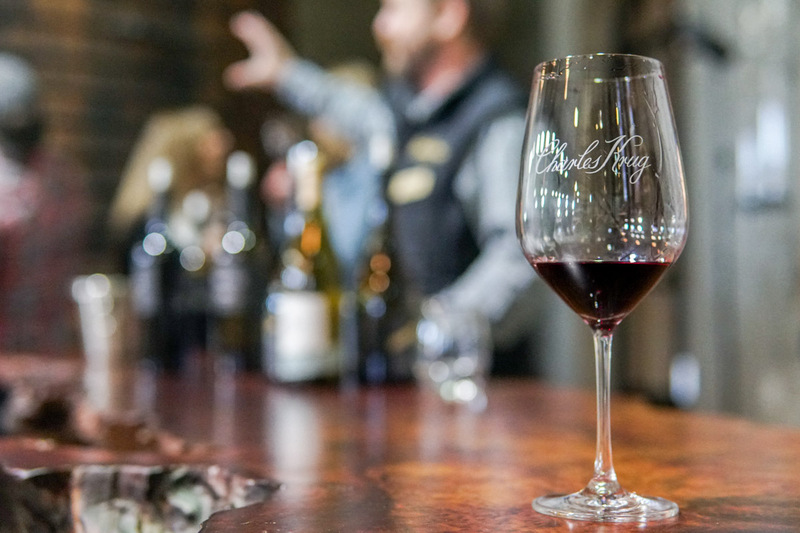 Each visit includes a private tour and tasting (about 1-1.5 hours) in which a guide takes you through the history of each legacy winery while pouring supple amounts of their award-winning wines. Back on the train, the menu is almost as impressive as the wineries. The first leg of the journey begins with a breakfast that included a smoothie, pastry and quiche. Lunch is served on the second leg of the trip and it was definitely the best meal we had on the train (and arguably, one of the better ones we had in Napa). For lunch, guests can choose between salmon or grilled flat iron steak (both were amazing). The third course (served in between the short ride from Charles Krug to V. Sattui) is a Marin County Triple Cream Brie, and the final course (served on the ride back to Napa) is a Yorkshire Pudding. My absolute favorite meal in Napa was at the CIA Copia. This restaurant is a true Napa gem and if you get the chance I highly recommend giving it a try. Being located inside the Culinary Institute of America campus, I had no idea what to expect (will I be eating in a dining room or classroom? Is there an actual menu? etc.). However, upon entering the bar and restaurant I was extremely impressed. The atmosphere was beautiful and the modern, open kitchen provided a sneak peak to some delicious looking (and smelling) dishes as we made our way to the table. The menu was fairly small, yet extremely diverse. Featuring local and seasonal inspired dishes complimented by a curated selection of wines, beers and handcrafted cocktails. 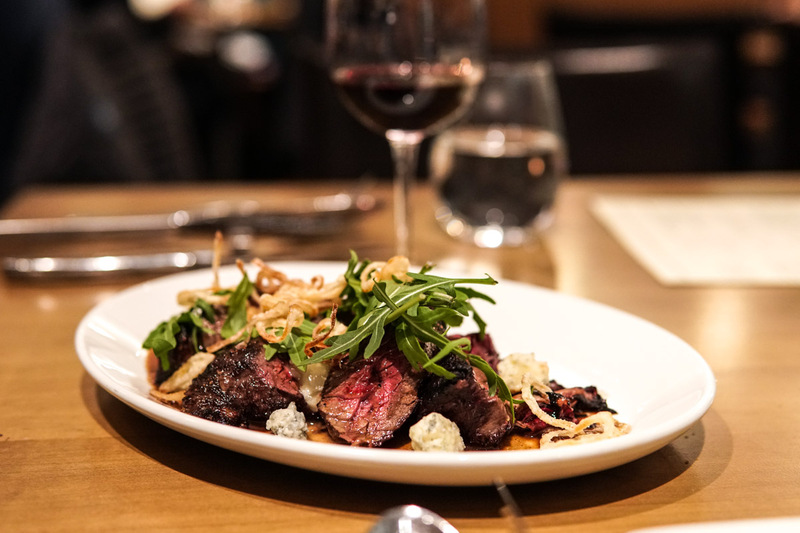 We started with the chicken liver toast (which was wonderful) then for the main event we ordered the hanger steak (which was one of the best steaks I’ve had in a long time) and the house-made Pappardelle (SO so good!). For dessert we had the chocolate trifle. 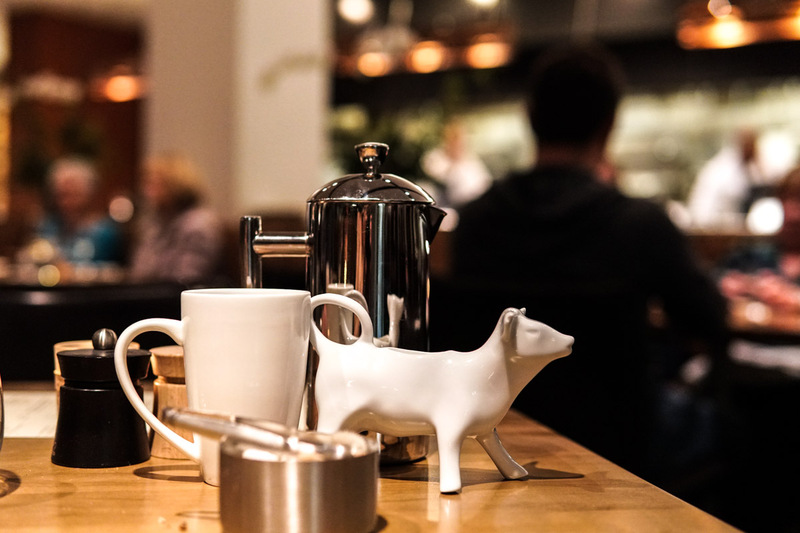 Overall I loved everything about my dining experience at the CIA Copia, the food was absolutely wonderful, the service was superb and the ambiance provided the perfect backdrop to a 5-star experience. This is a restaurant I will definitely return to next time I’m in Napa. 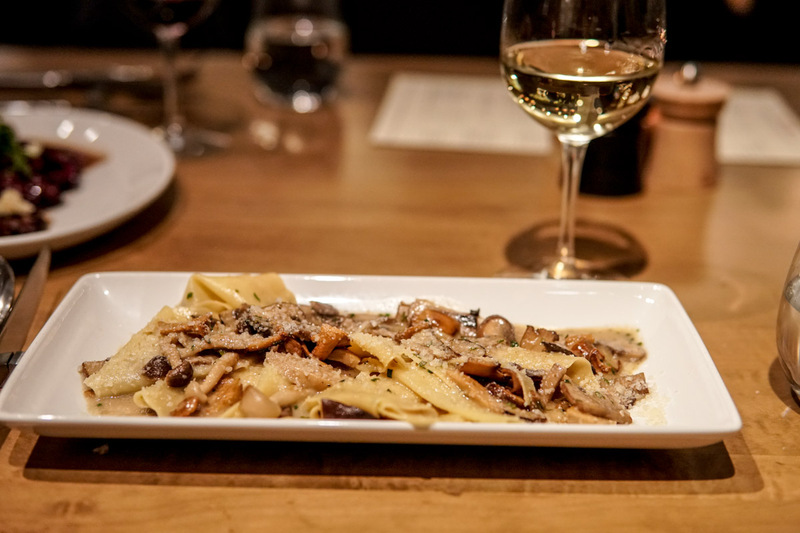 Plus, in addition to great dining option, the CIA at Copia offers a variety of consumer facing programs and experiences like cooking classes and beverage classes, wine tasting, community events, etc. (I would LOVE to attend a cooking class here). The grounds are beautiful and the location extremely convenient. If you’re visiting Napa, don’t miss out on this hidden gem. Most wineries/vineyards pour you 5+ tastings. Therefore, depending on your size/weight, you could be over the legal limit after just ONE tasting (California’s BAC is .08). Since, you want to do as many tastings as possible, hiring a driver is the best decision you will make. Even if you aren’t planning on going crazy with the tastings, stressing about timeframes and directions (especially in areas where there’s no cellphone service) can ruin your day. Instead, leave the work to a professional like Dennis at Napa Driving Services. I’m not exaggerating when I say that Dennis was a key factor in driving (no pun intended) the success of my visit. What I initially loved about Dennis / Napa Driving Services is that he drives your car so you can make your own itinerary (rather than joining a pre-planned tour). However, if you’d rather not plan your own itinerary Dennis is also extremely helpful in recommending wineries for you to visit. He specializes in taking guests to smaller, boutique wineries that most people have never heard of but absolutely love. I incorporated a couple of his recommendations into my itinerary (Fluery and Allora) and was absolutely blown away by both and very thankful for the recommendation (without which I would have never found them). When you work with Dennis, you not only get a licensed wine tour driver, but a personal tour guide as well. 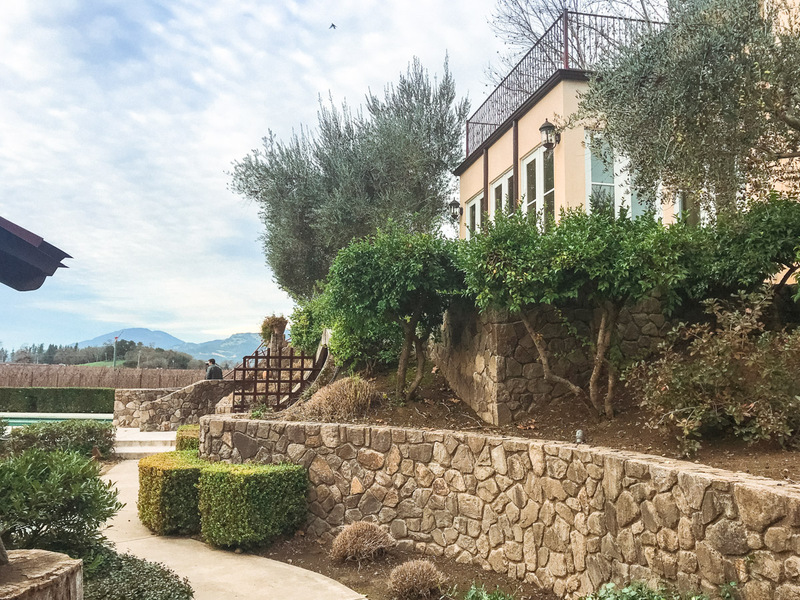 He’s lived in Napa for 50+ years (and has 15 years of experience in wine related occupations) so he’s extremely knowledgeable about the area and the wine. In my case, this meant he had an answer every time I pointed out the window asking “what’s this?” “what’s that?” (reminiscent of Jack’s song in the Nightmare Before Christmas). To top it off, Dennis brings homemade chips and salsa for all of his guests to snack on throughout the day (or take with them at the end). Home cooked by his wife, it’s hands down the best chips and salsa known to man. All in all, you cannot find a better driver than Dennis. He’s professional, knowledgeable, punctual, charismatic and adaptable. I cannot recommend his services highly enough. 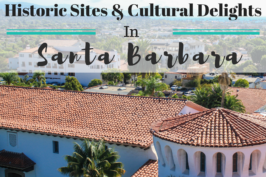 Check out my itinerary below — I know I keep shamelessly promoting my amazing weekend agenda, but I put a ton of work/research into it and was very happy with the result. I wouldn’t change a thing and could not recommend these places more. 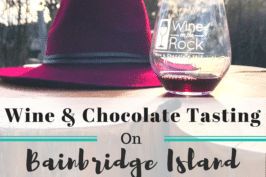 Plus I planned places nearby one another (eliminate drive time) and a combination of tours and tastings, and award winning wineries and intimate, off-the-beaten-path tasting experiences. Get an idea of what you’re looking for: with so many amazing wineries/vineyards in Napa Valley narrow them by your experience preference. Do you want places with amazing, Instagram-worthy views? Award winning cab (or sauvignon blanc, or chardonnay, or whatever)? Beautiful / unique tasting rooms? Famous labels? Under-the-radar boutique wineries? All the above? Figure out your priorities and start narrowing down from there. Don’t waste all of your time in the car. Narrow down wineries based on their proximity to one another. Special thanks to Visit Napa Valley and partners for providing me with complimentary or discount services. As always, all opinions are my own. Oh my goodness you’ve got it all covered! My husband and I spent our anniversary there almost 10 years ago and I wish I had all of this information, lol! We just chose a couple wineries, but didn’t have a plan. Next time I’ll know better! Cheers!! This is a great guide and with beautiful photos! How fun! I love visiting here! Beautiful photos! We visited a winery while on tour abroad and it was a real learning experience. There is so much to learn about being able to curate fine wines! These wineries in Napa Valley is a must visit for me. Hopefully this year we can make a trip to California a reality. I have a very new-found appreciation for wine tastings. Like you, my eyes were opened by a very enthusiastic wine maker. Of course, my visit to Napa Valley was before all that, so I guess I need to make a second trip. And there are so many wineries and vineyards now that it can be really hard to know where to go. Thanks for the tips. 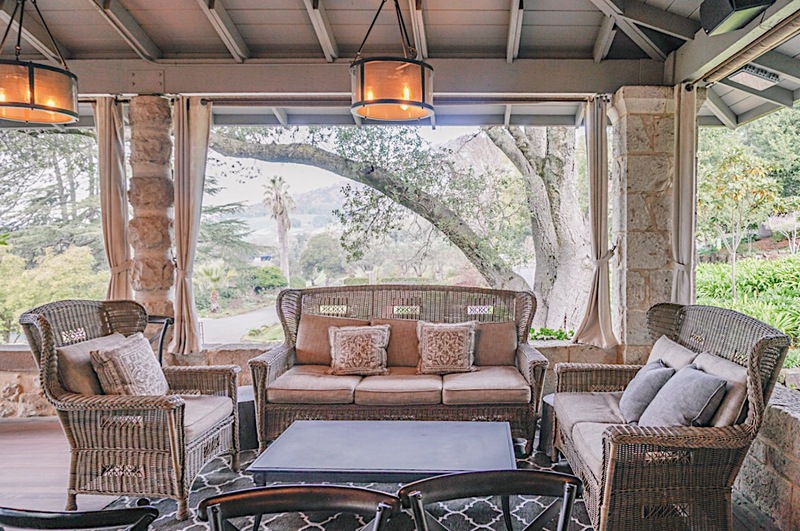 Napa has been on my list since I moved to the U.S. and you have now just made my travel planning SO much easier!! Thanks for sharing all your details, this is incredibly detailed. I love the sound of the train – what a great way to visit! My significant other is a student at the CIA in St. Helena. He says that Copia is amazing. I’m definitely pinning this post for future reference. Thank you! I had only heard of a couple of these. This is amazing. I have been struggling putting together an itinerary and found this…. Ah-mazing. One question- where did you stay? Thank you so much for sharing! Thanks Bethany. I have stayed at The River Terrace Inn and The Meritage Resort and Spa. I loved them both and would recommend either.